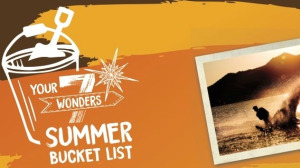 Building on the 'Seven Wonders' campaign for the Sarah Baartman area of the Eastern Cape, Boomtown has rolled out the 'Seven Wonders Bucket List'. To encourage participation, tourists are encouraged to share their 'Seven Wonders Bucket List' experiences on social media. 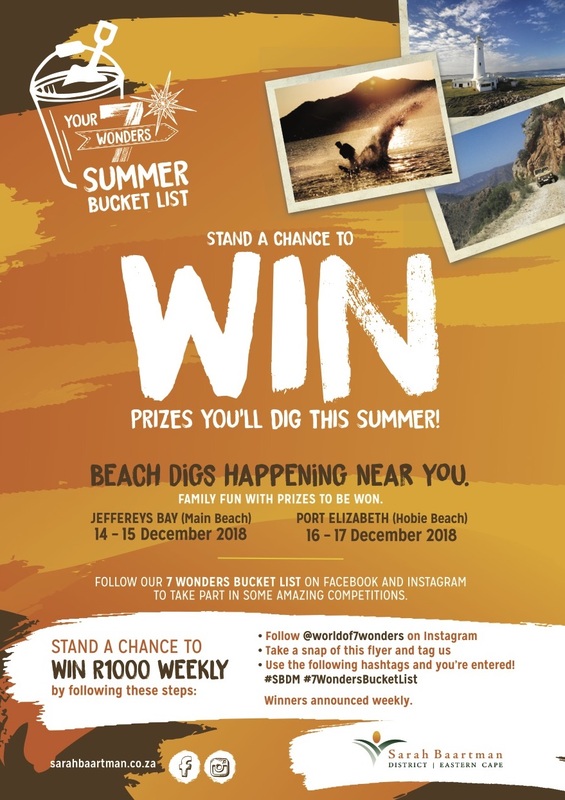 If participants tag and follow @worldof7wonders and use the hashtags #7WondersBucketList and #SBDM in their holiday snap at one of the area’s Seven Wonders, they stand the chance to win a cash prize. "Every summer, we talk about the amazing things we want to do. And at the end of the holidays, most of us have hardly done a single thing on that list," says Lisa Snyman, Boomtown account manager. "Our 'Seven Wonders Bucket List' campaign taps into this and gets people off the couch and encourages locals to explore what’s on their doorstep, and those travelling from further afield get to experience what the region has to offer," she adds. "To encourage different visits to multiple attractions, two entries in two different attractions enters tourists into a grand prize draw," says Snyman. "Our 'Seven Wonders' are Addo, Baviaanskloof and the Gamtoos Valley, Grahamstown, Jeffreys Bay and St Francis, the Karoo, the Sunshine Coast and the Tsitsikamma and Langkloof area," adds Sarah Baartman, district director of planning and economic development, Unathi Daniels. "Each 'wonder' adds a different element to your travels and has something for every taste, from adrenalin junkies to foodies and even for those looking to travel back in time and unearth local history," concludes Baartman. Supporting activations and activities included giveaways and promotional handouts at fillings stations en route to the Sarah Baaartman District, flyers at popular restaurants and retail outlets and a beach dig to win with the chance to win numerous prizes on two beaches: Hobie Beach in Port Elizabeth and Jefferey’s Bay.